Please join Adams, Cameron & Co. 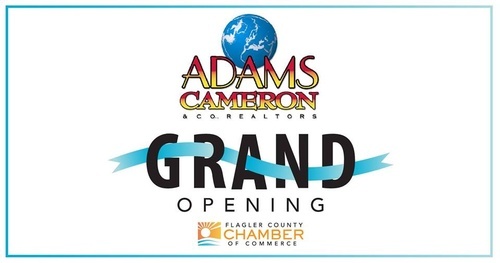 Realtors for its 1 Year Anniversary ribbon cutting ceremony to ceebrate this milestone. Please come out to support a fellow Chamber member and bring your friends and plenty of business cards for networking! There will be entertainment, food and drinks. For more information, please call 386.453.6930.